keep their eight little legs from getting stuck? that spiders leave a path of non-sticky silk that isn’t dotted with glue so they can get around their beautiful webs. 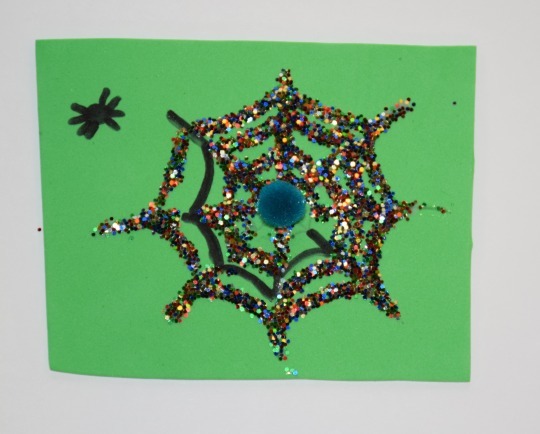 This activity helps kids learn about how spiders are able to get to the prey they catch by creating our own paths on spider webs we make ourselves! 1.) Using a pencil draw a spider web on your piece of foam. 2.) Draw a spider next to your web, and an insect caught inside the web. Then use the marker to draw a path between the spider and the insect, to represent non-sticky silk. 3.) 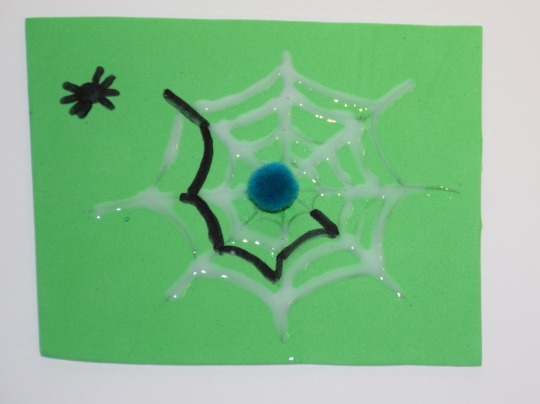 Make the rest of your spider web sticky by tracing it with glue. 4.) Cover your web in glitter. 5.) Shake it off and see the path your spider left itself! At Carnegie Museum of Natural History, our campers and homeschool students learn about spider webs with this activity, a spider web game, and meet with real entomologists!